A YouTube spokesperson told Billboard: "With the massive volume of videos on our site, sometimes we make the wrong call. When it's brought to our attention that a video has been removed mistakenly, we act quickly to reinstate it." The video was written and created by Bowie and directed by the Italian filmmaker Floria Sigismondi. The Next Day is the title track from the 66-year-old musician's latest album, which was released in March. 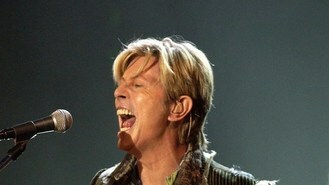 It marked his comeback to music, as Bowie had stepped out of the spotlight following a heart attack in 2004.